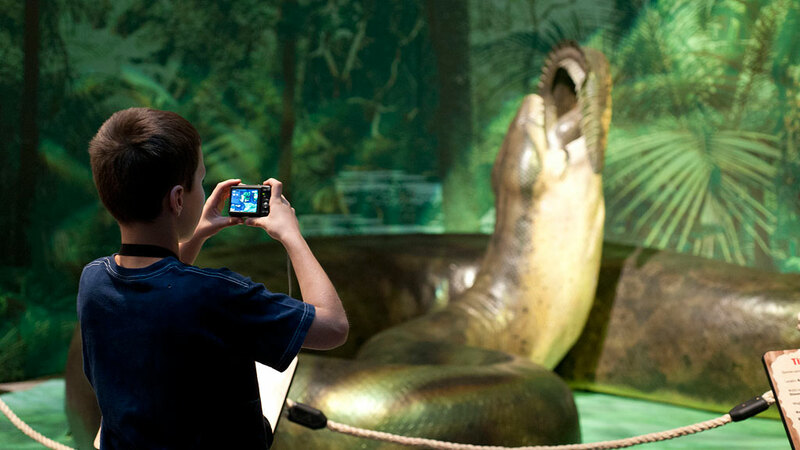 A replica of a titanoboa, a 48-feet monster snake that lived in Colombia some 60 million years ago, has gone on exhibition in Bogota. The exhibition of the massive replica is part of the 60-year anniversary of Colombia’s biggest botanical garden. The snake was reproduced by scientists and artists at the Smithsonian Institute in Washington DC based on fossils found in the northern Colombian desert. According to the scientists, the dry area that now comprises Colombia’s most northern La Guajira state was dense rainforest when the titanoboa was alive. The monster snake was so big and powerful, it was able to devour prehistoric crocodiles, according to paleontologists who investigated the animal. The monster snake will be on exhibition in Colombia’s capital until the end of February.